Daniel Schlenk is a Professor of Aquatic Ecotoxicology and Environmental Toxicology at the University of California Riverside where he has been on faculty since 2000. He is a Fellow of the American Association for the Advancement of Science, has published more than 200 peer-reviewed journal articles, book chapters, and books on the fate and effects of chemicals in biological systems. His research interests are focused on the biochemical mechanisms of action of natural and anthropogenic compounds in aquatic organisms and the utilization of aquatic organisms as models to better understand the impacts of environmental agents on human health. Areas of expertise include the use of genomic methods to identify signal transduction pathways within neuroendocrine systems as potential targets for toxicological insult as well as biochemical mechanisms that activate or detoxify chemicals. His laboratory is also interested in the impacts of environmental variables altered through climate change and their impacts on the toxicity of co-occurring contaminants in aquatic ecosystems. Dr. Schlenk received this Ph.D. (1989) from Oregon State University and was a NIEHS postdoctoral fellow at Duke University (1989-1991). 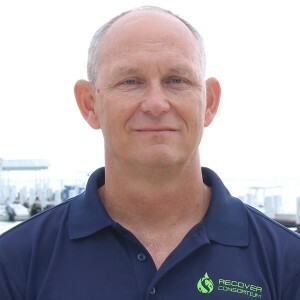 Dr. Schlenk’s interest in RECOVER revolves around the use of genomic strategies to discover molecular initiating events of oil and PAHs within embryonic and early life stages of mahi-mahi and redfish. He is excited about the possibilities of linking initial molecular responses to physiological and population outcomes within the adverse outcome paradigm to improve ecological risk assessment strategies.